Below you will find many samples of my work. Please click on the thumbnails to see all the flags in larger version. 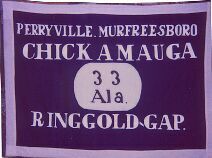 Other flags available are listed on the bottom of this page along with the prices. 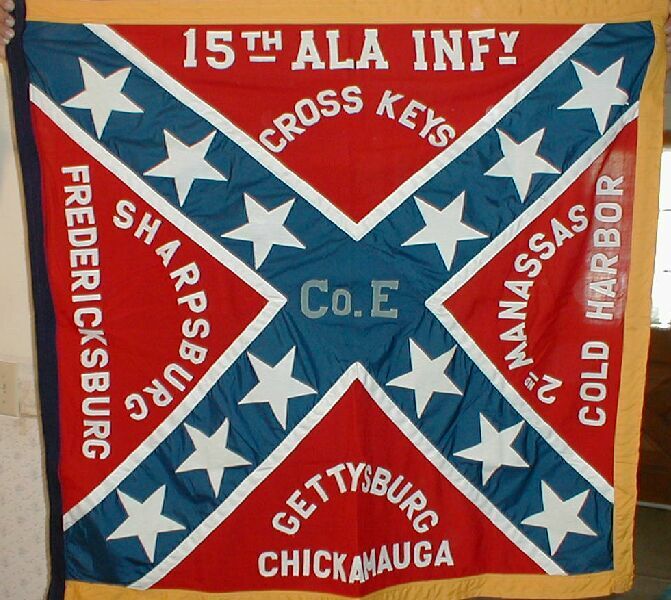 15th Alabama infantry (reunion) with appliquéd battle of honors and Company Letter. 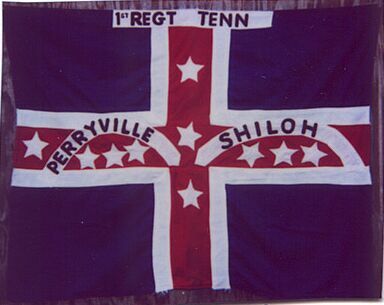 1st Tenn. "Polk" flag painted and Appliquéd. 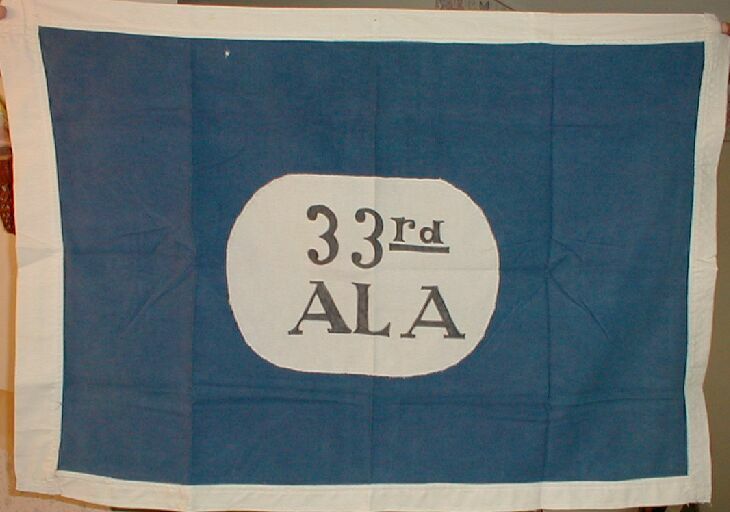 Flags are made out of 100% light weight, color fast material. Generally a 50/50 cotton/polyester blend, this holds up and wears well. Flannel, bunting and different weight materials on hand. 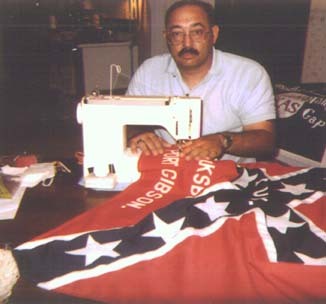 All flags are custom made, by hand, one at a time. No mass production the emphasis is on quality and visual accuracy. No "Farby" Flags. 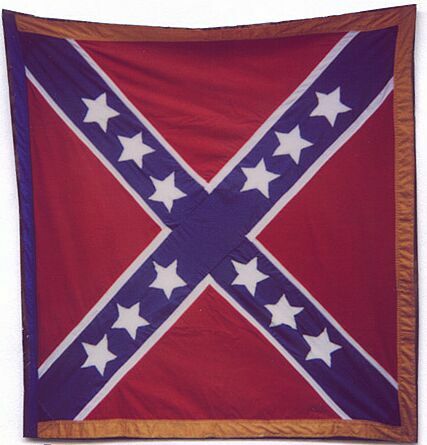 Note: "Farb" is a re-enactors term for fake, poorly made, or non-historical item or representation. 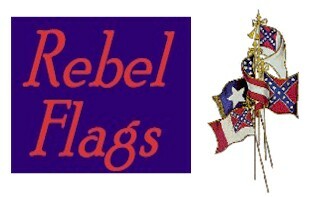 Flags start at $50.00 and go up depending on sizes, shapes and difficulty of manufacture. 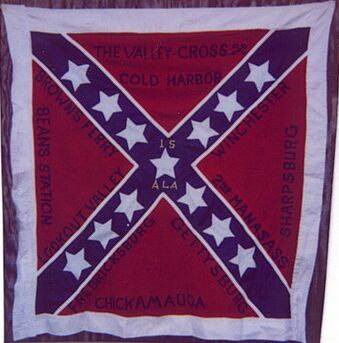 Battle Honors (sewn) single side. $5.00 for the first 7 letters. .80 cents per additional letter. $22.00 for the first 12 letters / numbers. 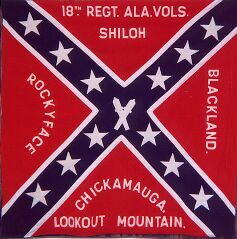 1st National Flag "Stars & Bars"
2nd National Flag "Jackson flag"
3rd National Flag "Blood Stained Banner"
Here is my e-mail again but for more information please hit the back link and read there.